CES 2014, LAS VEGAS – HARMAN, the premium global audio and infotainment group (NYSE:HAR), today announced at the Consumer Electronics Show (CES) that GRAMMY Award-winning, multi-platinum alternative rock band Linkin Park will be the new brand ambassadors for the Infinity brand. Reflective of a common history of pushing boundaries, challenging convention, and producing cutting-edge sound, the exclusive five-year partnership between Linkin Park and Infinity will go beyond advertising to include collaboration in product design. To mark the new relationship, Linkin Park will help unveil a sneak peek of two all-new Infinity product lines – the Infinity Reference Loudspeakers Series and the brand’s first portable wireless sound system, called Infinity One. 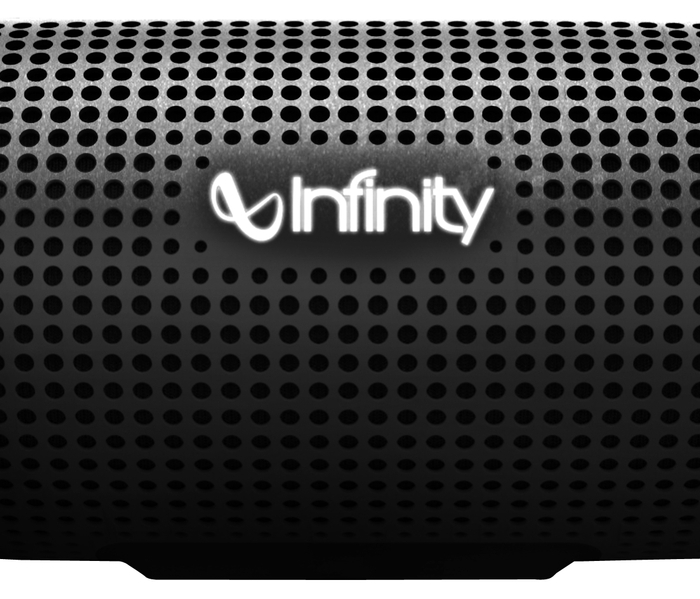 Founded in 1968, the Infinity brand is strongly rooted in pushing boundaries in design, materials and technology, all driven by an obsession with, and passion for, delivering uncompromising performance and premium sound. Linkin Park will serve as Infinity ambassadors and is working closely with the brand’s design and engineering teams on the development, voicing and industrial design of the new Infinity product portfolio. The band has a long history of interests rooted in sound and technology, and for the launch of the new Infinity Reference Loudspeakers Series, they collaborated with Infinity to create "Gold Dipped" Special Edition Floorstanding Loudspeakers. The Infinity Reference Loudspeakers Series will consist of nine models featuring a clean, contemporary look and feel with tapered side panels and a black premium finish. The series will include two bookshelf models, two floorstanding models, two center channel models, one surround model and two powered subwoofer models. The series will utilize the latest HARMAN proprietary technologies to deliver amazing audio performance at accessible price points. 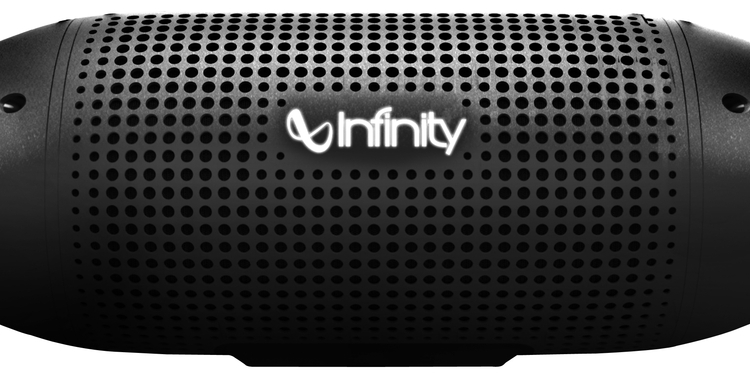 The Infinity One will be the first portable wireless sound system from Infinity, and will feature premium and cutting edge materials, high fidelity sound, wireless streaming and a built-in rechargeable battery with up to 10 hours of playtime – offering consumers premium quality sound and the utmost in mobility. Pricing and availability details for the Infinity Reference Loudspeakers Series and Infinity One portable will be announced later this year. Linkin Park is a Grammy Award-winning, multi-platinum alternative rock band comprised of co-lead vocalist, Chester Bennington, drummer/percussionist, Rob Bourdon, guitarist Brad Delson, bassist Dave 'Phoenix' Farrell, DJ, programmer Joe Hahn and Mike Shinoda - co-lead vocals, keyboards, guitar. The band has sold over 50 million albums worldwide, and is the biggest band on Facebook - with over 57 million fans and counting. In the span of time since 2000, when Linkin Park debuted on the Billboard 200 – no other artist has had more top 10 singles on the Alternative chart and, with the release of their latest album, LIVING THINGS (Machine Shop Recordings /Warner Bros), which reached #1 in over 20 countries, no other band has achieved more #1 albums this century. On their most recent touring cycle, the band played to over a million people, in 79 shows, on six continents. In 2005, Linkin Park founded Music For Relief, a 501 © (3) non-profit organization dedicated to providing aid to victims of natural disasters and the prevention of such disasters. Since its inception, Music For Relief has raised over 5 million dollars for victims of multiple disasters across four continents. The organization was recognized by UN Secretary-General Ban Ki-Moon for the Download to Donate program to raise funds and awareness in the aftermath of the Haiti earthquake. In recognition of its humanitarian work, Linkin Park received a 2011 Global Leadership Award from the United Nations Foundation.